Publisher's Note: Four months after Hurricane Katrina devastated the city of New Orleans, Dr. Jonathan Jui, Multnomah County's director of emergency medical services, delivered a keynote address at The Skanner Foundation's annual Martin Luther King Jr. Breakfast. No one seemed to understand the extent of the catastrophe until it occurred, Jui told the crowd. "What the community hears and what it knows are two different things," said Jui, who worked with the National Disaster Medical System team at the New Orleans airport after the disaster. The Skanner Publisher Bernie Foster wants to ensure that this type of smokescreen doesn't happen in Portland or Seattle. Over the past two years, The Skanner has run a series of articles about disaster preparedness and the local government's preparation (or lack of preparation) should a catastrophe strike. In the wake of the earthquakes that rocked Japan this week (not to mention a small earthquake that shook Portland last week) this issue has never been more relevant. The following is a lesson for governments and citizens on what not to do during and after a natural disaster. The words in parenthesis and bold italics are Foster's additions and comments on what Multnomah County can do to prepare for a catastrophic event. Step Five. Make certain the local, state and national governments do not respond in a coordinated, effective way. This will create more chaos on the ground. Step Six. Do not bring in food or water or communications right away. This will make everyone left behind more frantic and create incredible scenes for the media. Long lines and busy phones will discourage people from looking for help. Step 15. Close down all the public schools for months. This will prevent families in the public school system, overwhelmingly African Americans, from coming home. Step 16. Fire all the public school teachers, teacher aides, cafeteria workers and bus drivers and de-certify the teachers' union – the largest in the state. This will primarily hurt middle class African Americans and make them look for jobs elsewhere. Reduce public transportation by more than 80 percent. The people without cars will understand the message. Step 17. Even better, take this opportunity to flip the public school system into a charter system and push foundations and the government to allocate extra money to the new charter schools. Give the schools with the best test scores away first. Then give the least flooded schools away next. Turn 70 percent of schools into charters so that the kids with good test scores or solid parental involvement will go to the charters. That way the kids with average scores or learning disabilities, or single parent families who are still displaced are kept segregated away from the "good" kids. You will have to set up a few schools for those other kids, but make sure those schools do not get any extra money, do not have libraries or doors on the toilets, or enough teachers. In fact, because of this, you better make certain there are more security guards than teachers. Step 18. Let the market do what it does best. When rent goes up 70 percent, say there is nothing we can do about it. This will have two great results. It will keep many former residents away from the city and it will make landlords happy. If wages go up, immediately import more outside workers and wages will settle down. Step 19. Make sure all the predominately White suburbs surrounding the African American city make it very difficult for the people displaced from the city to return to the metro area. Have one suburb refuse to allow any new subsidized housing at all. Have the sheriff of another threaten to stop and investigate anyone wearing dreadlocks. Throw in a little humor and have one nearly all-White suburb pass a law that makes it illegal for homeowners to rent to people other than their blood relatives! The courts may strike these down, but it will take time and the message will be clear – do not think about returning to the suburbs. Step 22. Keep all public housing closed. Since it is 100 percent African American, this is a no-brainer. Make sure to have African Americans be the people who deliver the message. This step will also help by putting more pressure on the rental market as 5,000 more families will then have to compete for rental housing with low-income workers. This will provide another opportunity for hundreds of millions of government funds to be funneled to corporations when these buildings are torn down and developers can build up other less-secure buildings in their place. (We are now facing emergency issues in our community with immigration. Is this not an emergency issue for the county? Where is the support of Multnomah County? This will provide another opportunity for hundreds of millions of government funds to be funneled to corporations when these buildings are torn down and developers can build up other less-secure buildings in their place.) Make sure to tell the 5,000 families evicted from public housing that you are not letting them back for their own good. Tell them you are trying to save them from living in a segregated neighborhood. This will also send a good signal – if the government can refuse to allow people back, private concerns are free to do the same or worse. Step 31. Keep people's attention diverted from the African American city. Pour money into Iraq instead of the Gulf Coast. Corporations have figured out how to make big bucks whether we are winning or losing the war. It is easier to convince the country to support war – support for cities is much, much tougher. When the war goes badly, you can change the focus of the message to supporting the troops. Everyone loves the troops. No one can say we all love African Americans. Focus on terrorists – that always seems to work. Step 33. Repeat these steps. Note to readers: Every fact in this list actually happened and continues to happen in New Orleans after Katrina. But we at The Skanner think many also apply to Multnomah County, which has directed very few resources for and education about disaster preparedness toward our community. How can we change this? 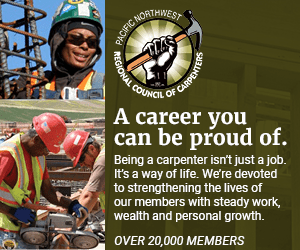 Call your representatives on the Multnomah County Commission --Chairman Ted Wheeler, Jeff Cogen, Maria Rojo de Steffey, Lisa Naito and Lonnie Roberts – and ask them, "What will happen to me if a disaster hits?" And remember, your county's new director of emergencies has never met with our community on these critical issues. Community engagement should be 100 percent funded for time and commitment. Engaging the community should be a priority for Multnomah County.